Sharon Mazel is a journalist and co-author of the New York Times bestselling What to Expect book series, which has sold over 20 million copies, including the popular What to Expect When You’re Expecting;What to Expect the First Year; What to Expect the Second Year; What to Expect Before You’re Expecting; Eating Well When You’re Expecting; What to Expect Babysitter Handbook; and What to Expect Pregnancy Organizer and Journal. Sharon is also a consulting editor, writer, and blogger for WhatToExpect.com. Sharon’s articles have appeared in The Washington Post, Parenting Magazine, BabyTalk Magazine and other publications. A former television news producer and writer at NBC, FOX, and WPIX, Sharon holds a Masters degree from Columbia University’s Graduate School of Journalism and is a graduate of Barnard College, Columbia University. 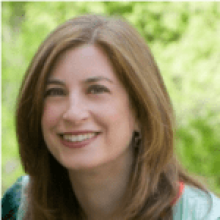 Sharon serves on numerous boards and executive boards of Jewish organizations in the Washington DC area and is currently vice president of the board at the Berman Hebrew Academy in Rockville, MD. She was also a Wexner Heritage Fellow. Sharon and her husband Jay live in Silver Spring, Maryland with their four daughters.